The North Carolina Recreation would like to invite you and your company to join us as an exhibitor at The 2018 North Carolina Recreation & Park Conference to be held in Winston-Salem NC. Exhibit dates are Wednesday, October 24, 2018 and Thursday, October 25, 2018. Exhibitors have direct access to over 500+ park and recreation professionals. Sponsorship opportunities are available and various levels include a complimentary booth space. Premium Exhibitors: Include all the benefits and opportunities of a standard exhibitor space but are located in premium locations within the event layout to optimize your organizations exposure and foot traffic during exhibit hall times. Premium exhibitors will also receive top billing among non-sponsor exhibitors in the exhibitors guide and all other related promotions. Limited Availability. Exhibit Hall Setup: 10:00 a.m. — 4:00 p.m.
Exhibit Hall Open/Exhibitor’s Social : 4:30 p.m. — 6:30 p.m.
Exhibit Hall Open: 9:15 a.m.
Exhibit Lunch: 12:15 a.m. — 1:45 p.m.
Each exhibit booth is 10 feet by 10 feet in size and draped on 3 sides. Each booth comes with one skirted table and 2 chairs. For questions about the conference or special requests for exhibit setup, please contact: Matt at matt@ncrpa.net or 919.832.5868. All gas powered equipment/vehicles must have less than 1/4 tank of gas, gas caps taped shut and batteries disconnected. Failure to do so will result in removal from exhibit hall. A list of pre-conference attendees (name and department) will be emailed by October 15, 2018. A list of all attendees will be sent after the conference. For questions about the conference or special requests for exhibit setup, please contact: Matt Carusona at matt@ncrpa.net or 919-832-5868. Just Added 9/21: Hawthorne Inn & Conference Center. This property is .6 miles away from the Benton Convention Center. Rooms are $99/night. Call 336-777-3000 and give them the reservation code 105801 or tell them you are attending the NCRPA Conference. On or before AUGUST 14, 2018 $255 of your registration fee will be deducted from your refund. Between AUGUST 15—31, 2018 50% of your total registration fee will be deducted from your refund. On or after SEPTEMBER 1, 2018, no refunds will be issued. The Sponsor/Exhibitor agrees by paying the registration fee to indemnify and hold harmless NCRPA, the Benton Convention Center, Winston-Salem Parks and Recreation, and member organizations of NCRPA, and all officers, staff members, or directors, from any and all liability and expenses for personal injury and property damage or loss arising from the use by the exhibitor or its exhibit space or activities in connection thereof. Proof of liability insurance naming NCRPA as additional insured is required. The conference management team reserves the right to restrict, because of noise, operation method, material or for any reason deemed objectionable. Additionally, the conference management team reserves the right to prohibit or remove any exhibit that they consider detracts from the general character or appearance of the show. Firms or organizations not assigned an exhibit space will not be allowed to conduct business in the exhibit area. 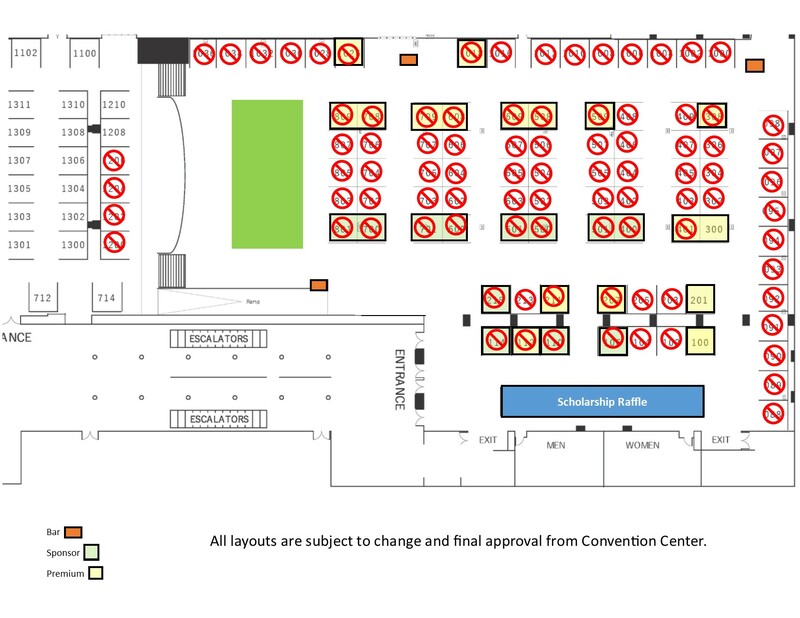 Exhibitors and their agents shall not injure or deface walls, floors, or any part of the exhibit building or booth materials or equipment of other exhibitors.